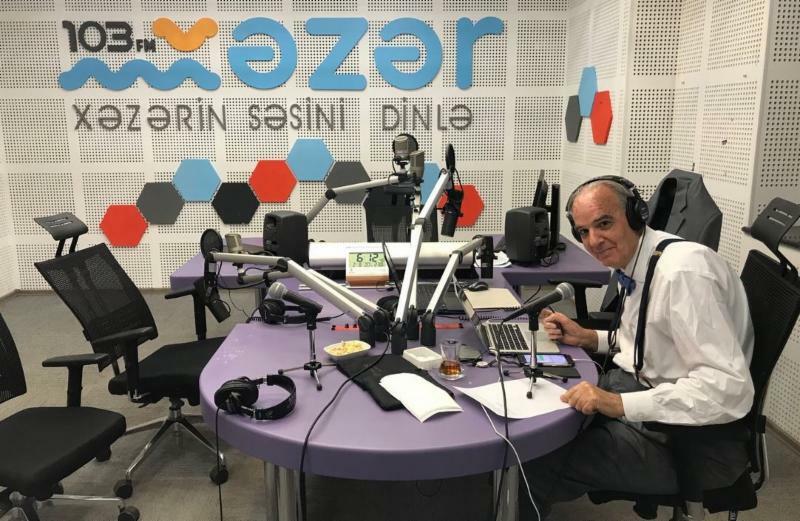 This special edition of the Embassy’s digest features audio clips of broadcasts from Azerbaijan by nationally syndicated radio host John Batchelor . Batchelor, a respected broadcaster and expert in geopolitics, is heard on stations around the country on the Westwood One radio network. He spent five days traveling to Baku, Ganja, Naftalan, Terter and other locations around Azerbaijan. He interviewed Elin Suleymanov, Azerbaijan’s Ambassador to the U.S.; a SOCAR executive, the head of a satellite company, a deputy mayor, a general and many more. To learn more about the Embassy’s activities, please remember to like us on Facebook and follow us on Twitter . Batchelor previews his trip to Azerbaijan with Ambassador Suleymanov close to the line of contact between Azerbaijani and Armenian forces. Listeners hear how the decades-long conflict has impacted the country and how Azerbaijan remains a “geo-strategically profound” country in the region. The spa in Naftalan is famous for its healing oil. Batchelor is joined by Dr. Dilbar Kazimova and the manager of the newly built five-star Garabag Spa and Resort Rovlana Heydarova. Visitors come from Europe and Asia and the rest of the world, including America, to enjoy the spa’s oils. 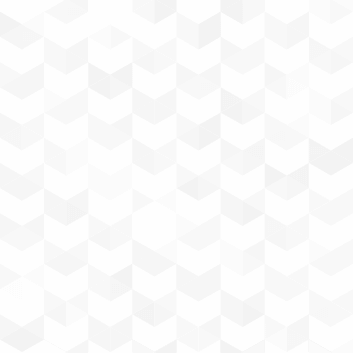 What Can be Done About the Armenia-Azerbaijan Nagorno-Karabakh Conflict? Batchelor heads toward the town of Terter with Ambassador Suleymanov to speak with officials there. Terter is directly on the line of contact between Azerbaijan and Armenia forces in the occupied territories, and yet the community still manages to thrive, even under such dangerous conditions. Batchelor and Ambassador Suleymanov talk about Azerbaijan’s brief history as an independent republic 100 years ago and break from the Soviet Union after its collapse. The Ambassador notes that Azerbaijan was the first secular majority-Muslim republic and the first to grant equal rights to women. 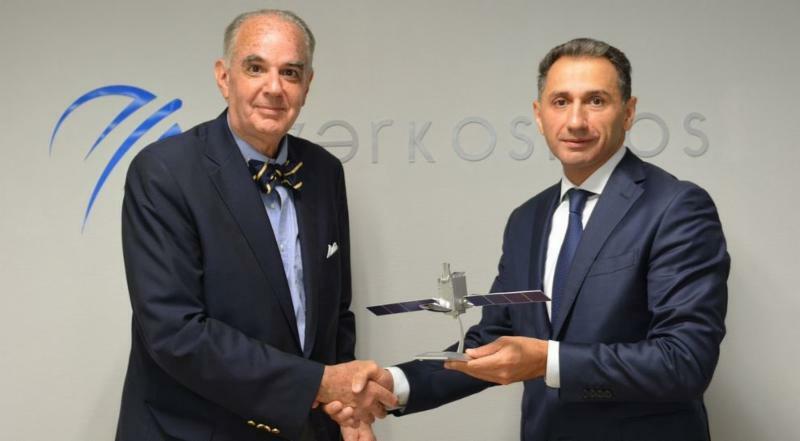 Batchelor is joined by Rashad Nabiyev (above), CEO and chairman of Azercosmos, the first telecommunications satellite company in the Caucasus region. They discuss the ambitious plans that Azerbaijan has to be a regional leader in commercial and scientific use of space. Batchelor and Ambassador Suleymanov discuss the conflict on the front lines in Azerbaijan. They talk about the occupation of territories and internally displaced refugees that have been produced by Armenia. The Ambassador insists that Armenia must sign a peace agreement. Batchelor speaks with Terter Mayor Mustagim Mammadov and General Hikmat Hasanov, who said his main concern is protecting the villagers of the front-line community of Gapanli. Mayor Mammadov said that more than 200 hundred homes and two schools were rebuilt after the most recent military aggression by Armenia in 2016. Batchelor interviews Elnur Rzayev, first deputy mayor of Ganja, Azerbaijan’s second-largest city. He notes how quickly his city has been growing recently and how welcoming it is of tourists. Batchelor reports from the Sangachal Terminal on the Caspian Sea about 30 miles south of Baku (above). 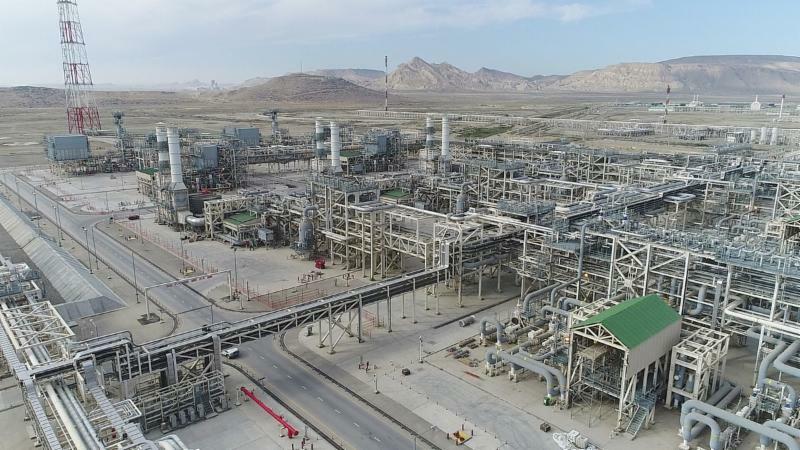 He speaks with BP communications executive Tamam Bayatly about the 1994 decision by Azerbaijan’s government to turn Sangachal into a distribution center. Batchelor discusses the oil resources in Azerbaijan that will transform the Caspian Sea region and speaks with Ambassador Suleymanov and Georgetown University Professor Brenda Shaffer. 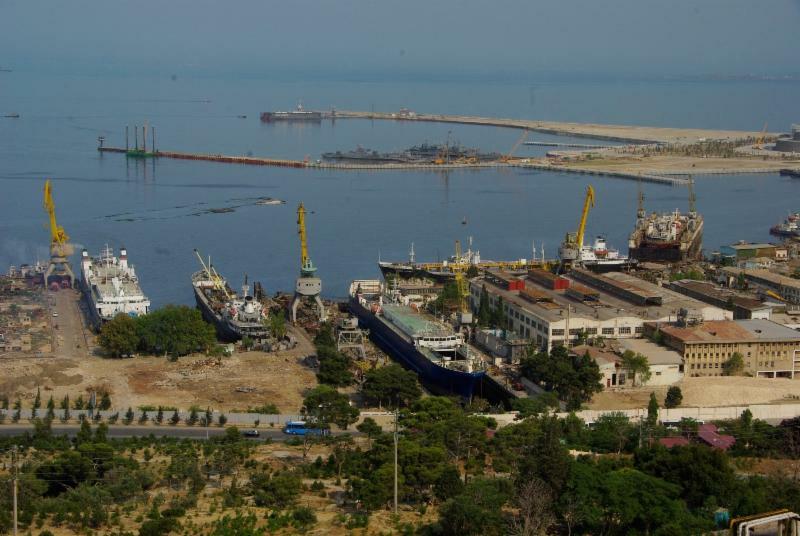 Batchelor speaks with Zaur Hasanov, adviser to the director-general of the Port of Baku, about its transformation into a free-trade zone. Baku’s educated workforce, secure facilities, no taxes and air and sea transportation make it attractive. Batchelor speaks with Ambassador Suleymanov about Azerbaijan’s crucial role in Europe’s energy security, not only in extracting Caspian Sea oil and gas but by ensuring their uninterrupted flow to Europe. Batchelor wraps up his broadcasting trip to Azerbaijan by speaking with Elshad Nassirov, Vice President of Marketing at SOCAR, Azerbaijan’s state-owned energy company. They discuss the future of oil and gas production in Azerbaijan and how its unique position puts it at the crossroads of the 21 st century’s Great Silk Road. This material is distributed by BGR PR on behalf of the Embassy of the Republic of Azerbaijan. Additional information is available at the Department of Justice, Washington, DC.